Jamie Kilpatrick graduated from Baker College with Associates of Applied Science for PTA in 2003. 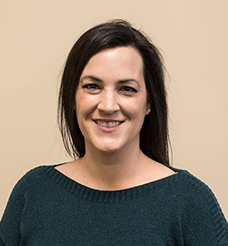 She enjoys working with general orthopedic conditions as well as working closely with a McKenzie certified PT to treat cervical and lumbar pain. Jamie also enjoys working with the geriatric population for gait, balance and general conditioning. She has been a licensed Physical Therapist Assistant for 15 years. In her free time, Jamie enjoys being active outdoors with her 4 kids, reading, and volunteering at church.